From Captain's Daughter to Army Mom: Indian Motorcycle Salutes Our Hometown Heroes! You know, just when I think life can't get any funnier, it does... Because, I cannot tell you how many times we passed the Indian Motorcycle Factory in Gilroy while our family lived in Monterey, California - And, if you had tapped me on the shoulder back then while a certain very young man and his dad stood admiring the beautiful motorcycles in the window and told me that Indian Motorcycle would one day ask me to partner with them to help promote their 2-Wheel Salute for a Hometown Hero contest, I would have thought you were nuts! But, that's exactly what happened a few days ago when Calley, a sweet representative from Indian Motorcycle in Minnesota, sent an e-mail asking me to do just that! 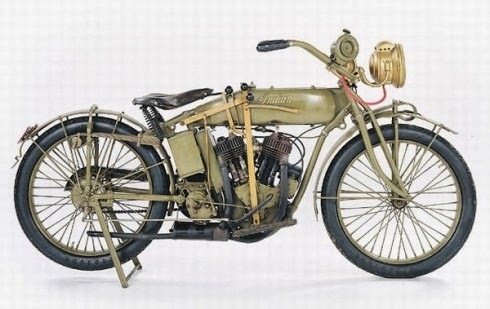 ﻿Working for a 100+ year old American company myself, I especially appreciate Indian's rich American heritage... Did you know that Indian is America's first motorcycle with a storied history of supporting military personnel and placing its bikes into military service? It's true! In fact, as the United States entered WWI, Indian sold most of its 1917 and 1918 lines to the US government. Additionally, Indian's Chiefs, Scouts and Junior Scouts were all used for various purposes by the United States Army in WWII and extensively by overseas Commonwealth military forces under the Lend/Lease program. In my research of Indian's military efforts, I learned that France ordered 5,000 Indians with sidecars as it prepared to enter WWII too! 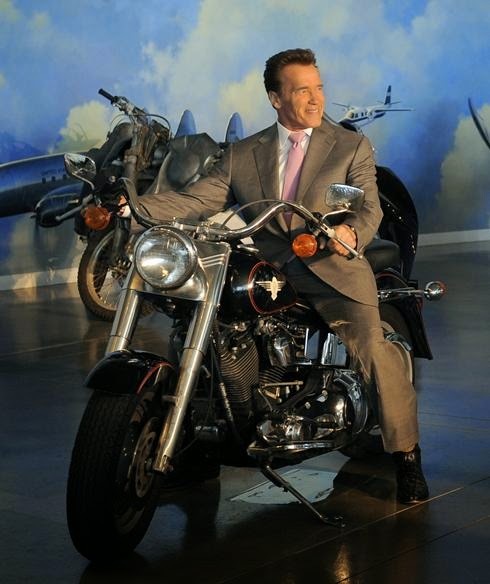 So you see, Indian didn't just make that famous motorcycle Arnold rode in the Terminator movies! Today, Indian Motorcycle wants to salute three Hometown Heroes with VIP loans of an Indian Chief for a whole year! They're looking for stories of those men and women who are passionate about helping others in their communities – and, who are also passionate about motorcycles. Also, if your nomination is selected, you'll win $1,000 in cash just for making the nomination! So what are you waiting for? Nominate your Hometown Hero today by clicking here. In addition to this exciting contest, Indian continues to support our military through an incentive that provides all current military personnel, retired and military veterans with $1,000 cash back on the purchase of a new, 2014 Indian Motorcycle! I hope you'll join me in spreading the news of this iconic American company and their efforts to recognize our military and other Hometown Heroes! By the way... When Calley asked me whom I would like to nominate, I couldn't give her an answer... You see, when I think of Hometown Heroes, I think of fallen Ranger, Benjamin Dillon to whom our Ranger dedicated his Ranger training. And, I think about, Ronald Kubik and Jason Santora, also United States Airborne Rangers on mission with our son in Afghanistan in 2010 when they were killed in action. These heroes, along with every soldier that makes it home to their family but is no longer physically able to ride an Indian would be my choice. This being said, I cannot forget the many other Hometown Heroes deserving of my recognition for their support of our Ranger and his battle-brothers... Friends like Michelle, whose son and his kindergarten class sent these pictures. Or Kimberly and Marietta, whose daughters sold a combined 268 donated boxes of Girl Scout cookies, which I shipped to Afghanistan over five deployments. And, there's Jackie, the Marine-mom at my office who instinctively knew when to check on me while contact with Ranger was nonexistent. I also don't know where I'd be without my boss, Shelley and her mother, Mary Pat or my coworker, Nick and his lovely wife Jane who all worked faithfully to keep Ranger’s name on their Parish prayer lists. Last, but not least, there's Kemper, Ranger's high school buddy that shipped care packages loaded with supplements to help keep our high-speed Rangers alert and feeling their best during missions that often stretched from hours into days. Of course, there's my family... My dear mother and especially my hero-father, a retired Army Captain and Vietnam War veteran who is so proud of his grandson he could bust! Also, my darling husband and our son Will, Ranger's brother. Plus, there's you... My cherished readers; so many of you have reached out and hopefully, you know that I now count you among my closest and dearest friends. You are all my heroes and I am so grateful for your support! While my journey as Army Mom is winding down, I promise to pay all of the kindnesses paid to me forward by continuing to support all of the Army Moms still waiting for that call that says, "Mom, I'm home." For my small part in their tremendous efforts to recognize others, Indian Motorcycle offered to send me their Classic Jacket, which I plan to auction and donate the proceeds to Wounded Warrior. As soon as I have the details worked out I'll announce it! In the meantime, I would love to hear about your Hometown Hero so please leave me a comment telling me why they deserve your nomination! Your post on Indian Motorcycle's two wheel salute to home town heroes brought me to tears.... poignant and moving.....your eloquent words are so heartfelt and REAL! What an incredible tribute Janet.....and what a cool way to Salute our Hometown Heroes! I only wish I had someone I could nominate........my candidates are unable to ride due to their injuries including PTSD. Thank you for all your incredible work for all our Rangers and Wounded Warriors.......YOU are paying it forward in the most meaningful way! And we totally loved the movie "The Fastest Indian!"